Now Matisyahu gained quite a lot of buzz from a live album and one song. Since he put out his second studio CD, you don’t hear a lot about him, and there is a reason for that. It’s hard to base a career off of one song, and and not having huge hit to back up for next CD just causes you to fall off the grid. I was pretty exacted to see Matisyahu play live, though. I wanted to really see if he could pull off the songs that he records live, and in that respect he did in fact surpass my expectations. Was it him or was it his back up band though? The band playing with Matisyahu was incredible. They went off into these jam sessions and pleased the huge crowd; they pulled it off. I stopped listen to Matisyahu, and just started to jam out to his band. The one thing that really did tick me off about Matisyahu’s live set was he had no stage show. 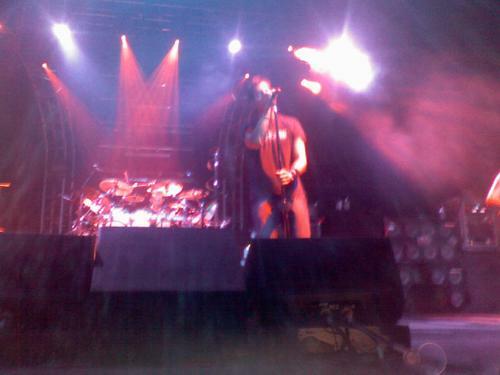 He stood there slowly moving to the right and left sides of the stage, so slow that it looked as if he was hovering. When you'd think he would try to jam out with the band during their crazy jam session, he either sat down on the drum platform or walked off to the side of the stage. It got to the point where he was just so boring most people left to grab a second beer or $10 chicken wings and fries. If you don’t get a chance to come out and see for yourself and you really want to see Matisyahu live, get a friend, dress him up with a huge beard, blue jacket, white dress shirt and pants. Give him a microphone that’s turned off, and have him lip-sync, and just stand there while Matisyahu plays in the background. That’s might actually be more entertaining. Once Matisyahu got off the stage everyone knew it was time for the main event. The stage crew jumped up as fast as they could, moving curtains, setting up lights, and getting ready for 311 to take the stage. The lights dimmed and then there was an explosion of lights as the band came out playing the classic 311 song Come Original. Everyone went nuts. Vocalist and DJ SA Marinez was dancing all around with his microphone getting the crowd rowdier than they had been all night. 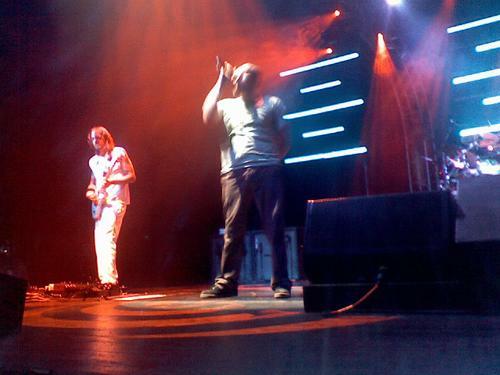 Nick Hexum, the other vocalist for 311, played his guitar behind his row of monitors. The song ended and the cheers and roars were so loud it was like being in a hurricane. Thoughout their set, 311 played a lot of great classic songs like All Mixed up, Amber, Beautiful Disaster, Love Song, and You Wouldn’t Believe. In the middle of the set, drummer Chad Sexton played a 6-minute drum solo. Chad’s drum set could rival just about any band in history. It's armed with tom toms, symbols, snare drums, bongos and all kinds of different symbols. It was a pure, beautiful thing and any drummer in the room must have started to droll as he rocked out. At the end of the drum solo, stage crews brought out 4 more drums painted up to seem to match the players different styles. The term Rock Star is thrown around a whole lot. People refer to bands like Cute is What We Aim For, Hello Goodbye, and Boys Like Girls as Rock Stars. 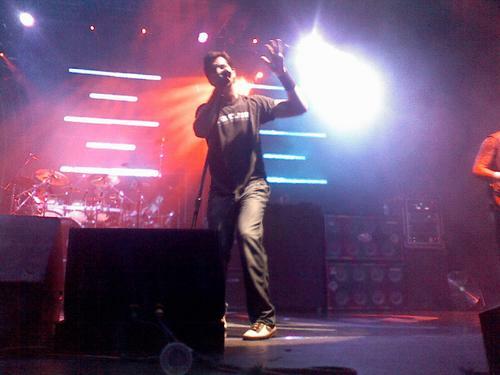 Sure, they might be the top on your MySpace, but if they are Rock Stars, then 311 would be Rock Legends. Just like fine wine, 311 has gotten so much better as the years have passed them to point where they can put on a great rock show, and defiantly deserve a spot in the Rock and Roll hall of fame. My advice if you’re a huge 311 fan and haven’t seem them live yet, or you want to catch another sick 311 show: Buy a ticket. If you don’t like ska, or have major A.D.D. and can’t sit tough Matisyahu’s boring live show, then show up at around 9 o’clock and just watch 311. They will blow your mind.